2013 started with a bang and things have not settled down yet. Click the collage above or here to read details about my 2013 sales. 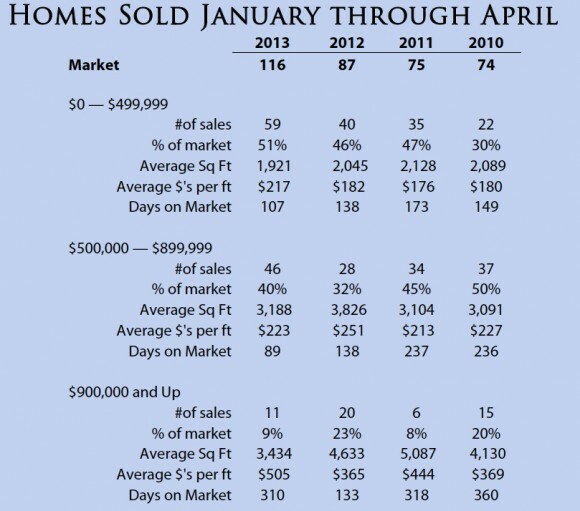 If you see a home that fits your needs, but you don’t see anything like it on the market, contact me. I am often able to help clients find homes not yet listed or can help them uncover a home from the shadow inventory of the slower years. 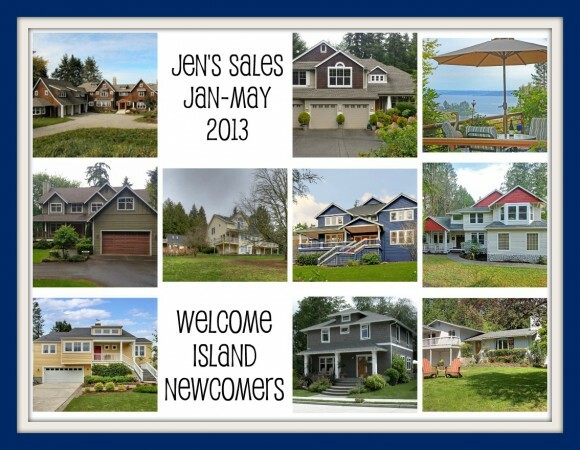 With low inventory and multiple offers an experienced island agent is a must. If a house comes on the market that you love, chances are six other buyers are going to love it too. My experience will help you prevail in our market. As prices begin to go up in some price ranges and not others, now more than ever, you need an experienced Island Broker with technical resources (like our island statistics we’ve been keeping since 1978) to help you interpret the market and understand the trends beyond the media buzz. As a Windermere Broker I use the tools and resources of Puget Sound’s most successful Real Estate company for the past 20+ years. 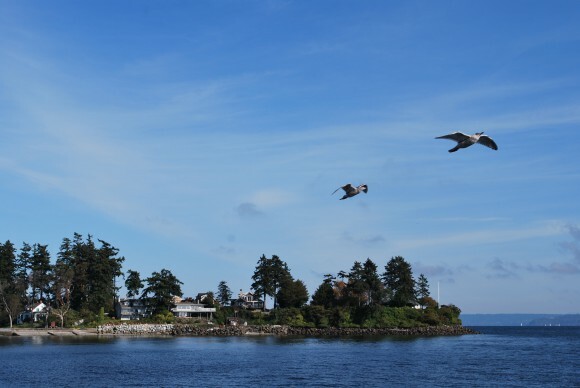 More important, the experience, connections and teamwork here in our office has sold more homes on Bainbridge Island every year since the early 80’s. Give me a call, let’s chat about your next home. The big thing to know is get a commuter pass. The pricing is reduced. My pricing below is as of Dec. of 2018 and note fares are seasonal and highest in the summer. One question I get a lot is the question regarding health care options on the island. On the island we have a number of doctor’s offices and ‘during the day’ walk-in urgent care. Virginia Mason, The Doctor’s Clinic and Bainbridge Pediatrics are the largest offices, plus a number of smaller offices. But as of now (June 2013) we do not have a 24 hour urgent care or a full-service hospital. However, the good news is Harrison has purchased a site on the island to build a 13,000 square foot 24 hour urgent care facility scheduled to open in 2014. Read the Bainbridge Review article here). What we do have on the North Kitsap side is Harrison Hospital in Silverdale, which is accessible off the Agate Pass Bridge to the north. But, since large hospitals like Children’s Hospital, Harborview and UW Medical Center are in Seattle, the ferry and transport time can pose an issue for a critical emergency. The Life Flight heli-pad at the Bainbridge Island Fire Department on Madison Avenue. What many people don’t know, however, is that we DO have a heli-pad at our main fire station on Madison Avenue. 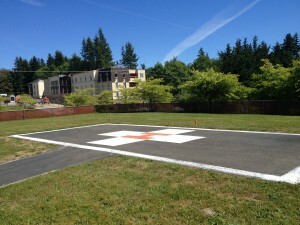 The heli-pad has been in use on Bainbridge since 1972, first through Army MAST Helicopters and now through several transport agencies affiliated with the Life Flight network of Washington. A helicopter transport is the quickest way to get off the island and to a hospital supporting the needs of the emergency.The upside is that a helicopter transport can be faster than an ambulance navigating busy city streets. The downside is that a helicopter transport ride can be a very expensive unplanned cost (costs can be upwards of $10k) and most medical insurance companies do not provide full coverage. For my clients and those new to the island, I recommend that you first check with your medical coverage to see if they cover air transports. If you do not have coverage (or full coverage), you can purchase coverage for your entire immediate family for only $79 a year ($155 for 2 years) through Aircare Northwest. The Aircare Membership Program helps fund Airlift Northwest, the actual helicopter program. They provide residents in communities in South East Alaska and Washington with high-quality air medical service at an affordable cost. Full program details are here, as is a brochure. To register now, click here. A great deal, in my opinion, especially since I personally know of families who have had to use the service. And living close to the heli-pad, I can attest that is does get a fair amount of use. You never like hearing the helicopter coming in or taking off because it does usually mean a potentially life threatening situation, but at the same time, I always feel grateful that we have service so close. 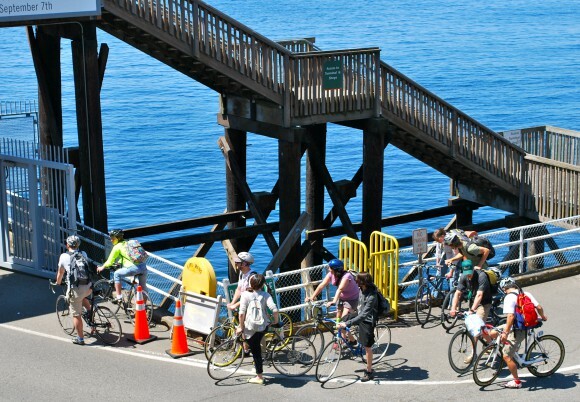 The Bainbridge Island Ferry is another option for medical transport. 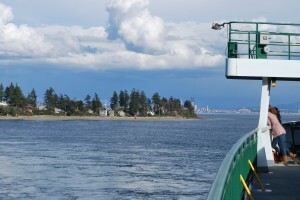 About a year after we moved here I learned that our standard ferry crossing (35 minutes) can be sped up in an emergency and the ferry can actually cross in about 18 minutes. Again, I learned that from experience. 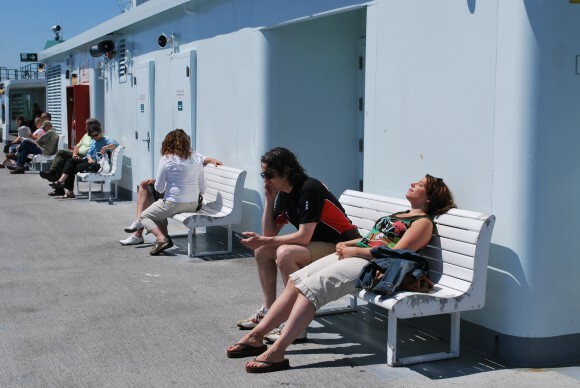 It was indeed a different ferry ride to cross in about half the time. In that situation, an ambulance will call ahead and the ferry will wait for the ambulance then take off when it arrives. They will not necessarily load the rest of the boat. This happens for semi-critical cases. Also, again from experience, we learned after checking out from a Seattle hospital post-surgery, that hospitals can issue you a priority loading pass. When you arrive at the ferry terminal you go straight to the front of the line and are the first to load. 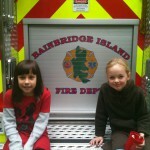 Reflective Address Numbers available from the Bainbridge Island Fire Department. Our fire and emergency personnel are fantastic on the island. I have seen them in action and we are very fortunate for the first responder level of care we have on Bainbridge. A few years ago the fire department started offering free reflective address numbers to help them find our homes and businesses quicker when there is an emergency. In our rural environment, it can be tricky. 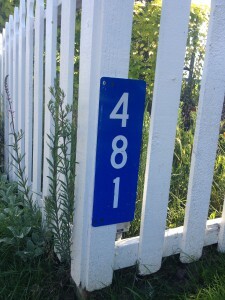 The Bainbridge Island Fire Department provides blue reflective address number for free. For more info, click here.